GA’s hockey teams train and compete at Chelsea Piers in Stamford, CT. CPCT is a state-of-the-art facility where the Gators enjoy prime-time ice and have a dedicated locker room. Practices focus on the fundamentals of skating, stick handling and strategies as players develop through the program. 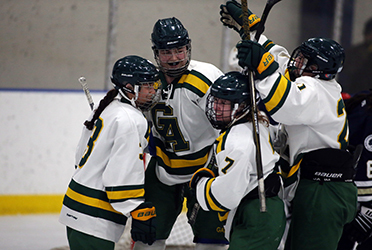 GA has won 3 Division II New England Hockey titles.